Geofencing is a virtual geographic boundary created using GPS and RFID technology for location-based-marketing. In simple words, a technology to catch customers near your business. This pre-defined virtual boundary works on sensors and is activated whenever someone enters or exits the boundary. As soon as admin traces the activity, it will send messages in the form of push notifications, text messages, visual content and targeted advertising to their potential customers or to engage existing ones. About the distance and range, we come to this later. Some leading players in Geofencing in the market are Apple, Thumbvista, ESRI, Geomoby and Pulsate. As per one of the survey, 63% of event marketers will invest more in live events in the 2018-19 both in budget and number of events. Geofencing has great advantages for events and tradeshows, and a lot of investment is expected to be done in this vertical. What are the types of Geofencing? 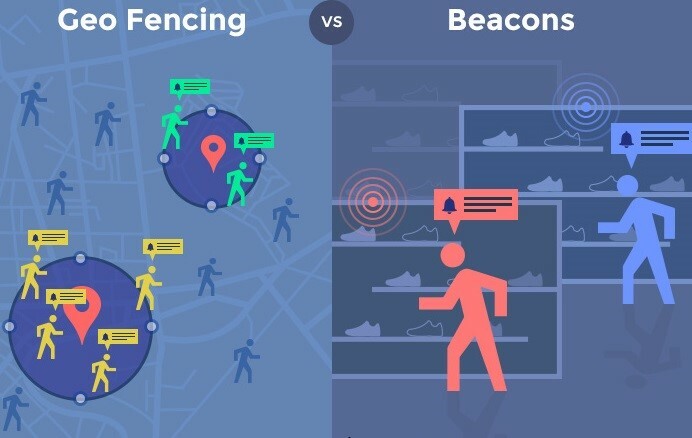 What is the difference between Beacon and Geofencing? There is confusion when it comes to choosing between Geofencing and Beacon for events and trade-shows. To simplify this jargon, you can relate Geofencing and Beacons to Telescope vs Microscope, both are used for magnification, but their purposes are different. 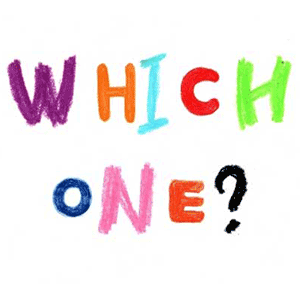 One is used to magnify distance object while other is used to magnify things on a micro or a granular level. Here we tried further to clear this confusion. Which technology is better for events Beacon or Geofencing? Both technologies are effective in increasing event attendees' foot-falls. The choice depends on event planners requirements. However, making choice on anyone is less recommended, because together they work best. To achieve broader marketing goal and track customers on a larger scale geofencing is recommended. To detect and leverage customers with personal experience within the event dome beacons are useful. It has much greater accuracy. To understand this better we will see the example below. Example: When you are near the trade-show the geofence will tempt passersby to enter the trade-show by throwing incentives or promotional offers. While, inside the trade-show, beacons help attendees to become more personal with the product. For instance, event attendees can use beacons to download the company brochure, whereas event organisers can use to track attendees inside the arena. For trade-shows and events, Geofencing an airport is ideal to invite foreign delegates and impress them. Does Geo-fencing help in reducing traditional advertising expense for events/trade-shows? Event marketing has a simple rule "more you spend, more you get", for instance, big sponsors display gigantic banners across keynote stages or throws elaborate sponsored dinners for VIPS. In these extravagant marketing stunts, small event organisers find their entire marketing size midget and the budget is eaten away for nothing. For them, tactfully using geofencing would work as hatching dinosaur out of the chicken egg. Targeting specific demographics within geofencing can save on your traditional advertisement expense. It helps to target more specific audience, for example, if you want to target only women within a 1-mile radius for beauty product trade-show. In which case, you can set your ad to appear on sites and apps mostly used by women in that radius. Compared to traditional advertising, geofencing is not only more affordable, but engagement is typically higher because the ad is more relevant to the audience being targeted. Not to mention, Geo-fenced audiences are not limited to mobile-only users, they can include desktop users as well. Considering Geofencing exclusive ability for engagement during events, it can also help to interlink vendors business with each other. For instance, during a live concert event organiser can send a message, "Visit xyz food-stall and get 10% discount on our next event". Editing the geofences on-the-fly is an additional advantage of this technology. Few people prefer geo-conquesting technique to beat their competitors and attract the target audience. They send lucrative offers whenever they are at their or around competitor's location. Is it possible to activate Geofencing without the mobile app? Yes, it is possible to activate geofencing without mobile app through network-based geofencing. Normal geofencing requires a dedicated mobile app, as well as users, have to keep location services on. But network based geofencing does not require a dedicated app; instead they use data from local cellphone towers directly to send targeted messages to mobile users connected to the network on an opt-in basis. However, the users have to scan a QR code, fill out a subscription form on a webpage, text a keyword, etc. to receive messages. 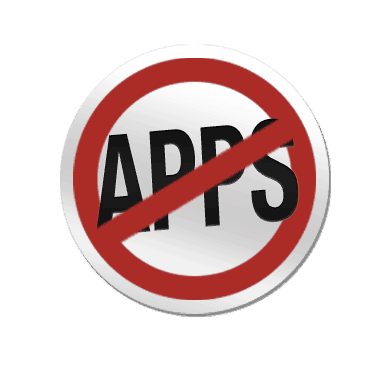 The network-based solutions have upfront costs than their app-based counterparts. The charge is levied as per-location lookup basis, and therefore can be scaled up or down as needed. This also helps to target potentially broad audience of feature phone users who haven't yet made the move to smartphones. Compared to app-based geofencing, network-based geofencing is fast, more accurate and has better coverage capacity. What do you need for Geofencing installation? There is much more technical aspects for setting up Geofencing which your vendor will take care. All you need is some hardware and software information to leverage best Geofencing. As an event professional, to make visitor's experience better and management easy here are some ready-to-use app that event professionals would happy to add in their list. What is some best practice for Geofencing Events/ Tradeshows? Keep boundary for within a 4 or 5 minute travel time. The distance limit for geofencing, you can go as low as 2 metres, but the minimum is from 20 to 50 metres depending on the venue size. Before activating geofencing to ensure that you are not breaking any legal rules of your state or country, for instance, Massachusetts does not allow geofencing near medical facilities. Some vendors provide limited Geofence around 20, try to get vendor with unlimited Geofence. It will maximise the audience reach and strengthen the efficacy of your virtual fence. 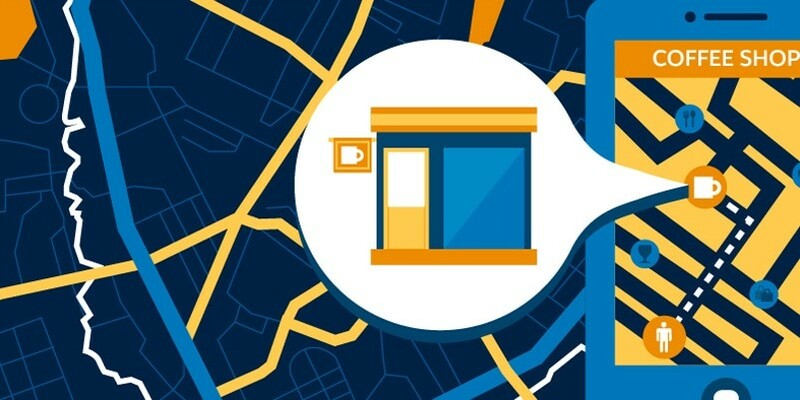 Walking on the pedigree of their immediate cousins- beacons and NFC, the geofencing have an immense capacity to take over the market with a customer-centric and sales-oriented approach. The wide spectrum to cover large area is a strength of this technology and event industry would be the prime beneficiary of this technology. If you believe the same share your thoughts below.